I love my zinnias in my vegetable garden. They are so beautiful and I love the new streaked varieties. They are a double zinnia and are so interesting to look at and the pollinators like them. I know if I was a bee, I would visit them! 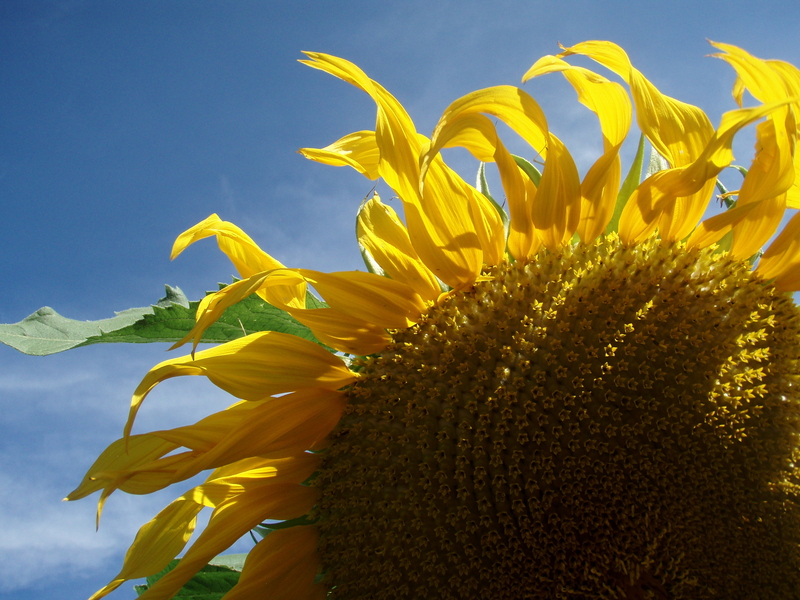 International Sunflower Guerrilla Gardening Day this Sunday-May 1, 2011! 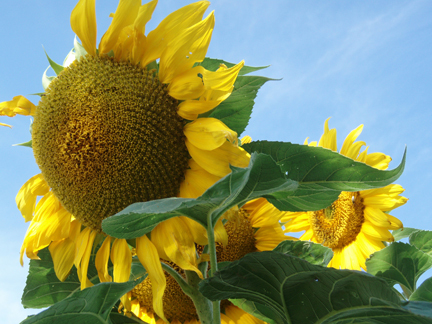 This Sunday, May 1 is International Sunflower Guerrilla Gardening Day where people all around the world will go out and plant some sunflower seeds in a public or private place that needs beautifying this summer. Look for places that have bare ground and maybe a drip system where you can plant the seeds next to a drip emitter so the seeds have a chance. Also try not to plant them where they may be cut down by a someone who might think they are weeds. Guerrilla gardening is done to beautify otherwise neglected areas. You may be brazen or secretive about your planting. Let’s make this an annual event! 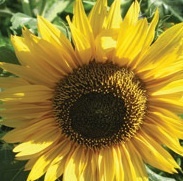 For anyone interested, I will supply FREE sunflower seeds on this Sunday, May 1 for you plant. Come gather at Liquid Light Glass located at 926 Baca Street #3 here in Santa Fe, NM. Show up at 12:30 to get your seeds and everyone leaves at 1pm to go plant. Oh, and don’t forget your trowel! Afterward if you want, add your experience and where you planted on the ‘Comments’ section of this post for all to read. Later this summer when they flower, take a picture and send it to me and I will print it in a post with others! Hope to see you Sunday! May the force be with you! 13. You think of somewhere-be creative and let me know! I just came back from the bird store where I got some black oil sunflower seeds for my wild birds when I thought why not grow my own for next year? 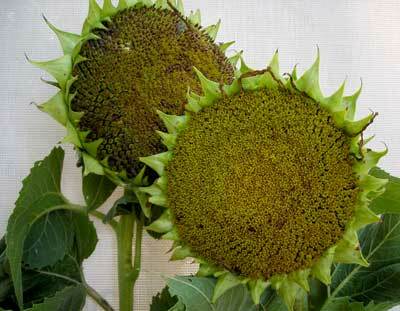 My favorite sunflower up to now has been the Titan sunflower which is a striped seed and is not a black oil seed. 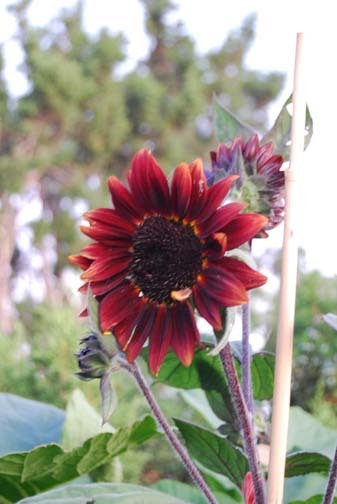 Black oil seeds compared to striped sunflower seeds have a higher oil content and are meatier for birds. They are also easier for small birds to crack open. 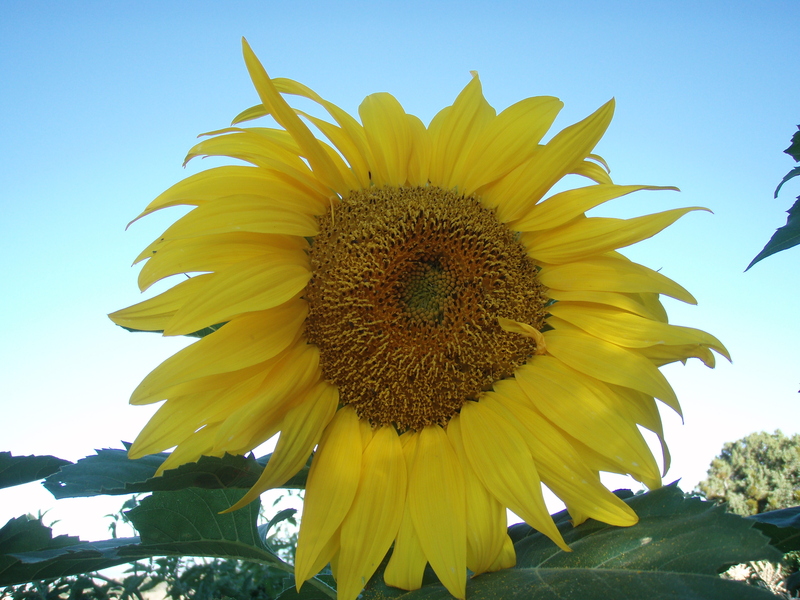 I already cut off the sunflower heads from sunflowers for birds so why not give them what is really good for them. One variety of black oil sunflower seed that I found is Peredovik Black Oil Sunflower Seed from Russia. In 2016 you can get it at Southern Exposure Seed Exchange. You can also just plant the black oil seed you get in your birdseed. I read that the sunflowers grow from 3-6 feet tall. 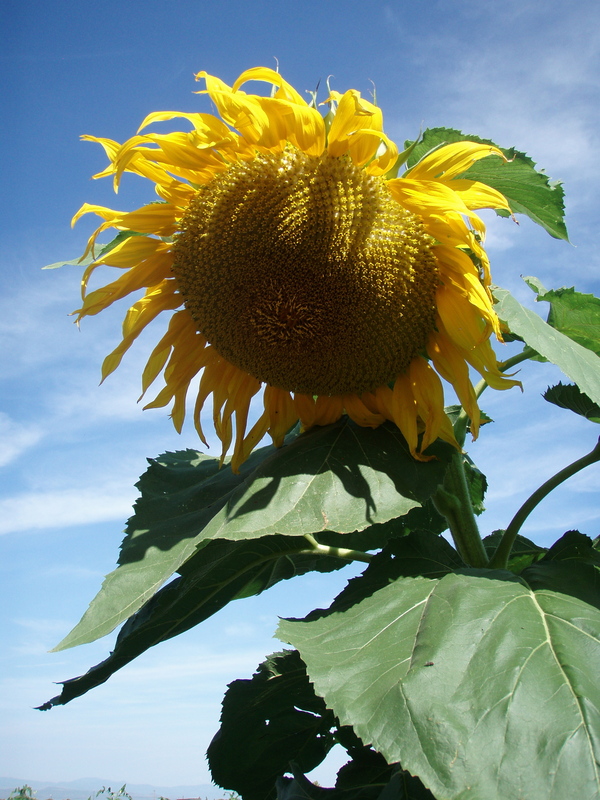 So this year I’m going to add them in with my other sunflowers that I grow for a treat for the wild birds. Hmm, now I wonder if I can grow that real expensive finch seed, Nyger? I’ll have to look into that! It is super expensive but I don’t know if it will grow here. I’ll get back to you on that one..
2014 update: Try to grow some from your birdseed mix but if yours don’t grow from your birdseed, go to the site above to buy some that will germinate. This is the most current seed company to buy from.